1990 – IMEAS Australasia (Australia): The seat in Victoria, Australia, deals with commercial activities related to the promotion and selling of IMEAS products in Oceania. Although small in dimension, the Australian market is an important reference point in South-East Asia. 2001 – IMEAS Inc. USA : Strategically located into the greatest world economy, the offices of Peachtree City, Atlanta, represent the commercial interface for the customers in the United States and Canada. This seat also runs the pre-sales and post-sales support. 2001 – IMEAS Beijing Liason Office – P.R. China : We could not miss the opportunity of being present in the economy with the highest growing rate in the world. Our representation office promotes IMEAS technology both for wood and for metal processing. Mother-tongue Chinese speaking staff has proved to be the best choice for this country that has great potentiality although very difficult to approach. IMEAS is incorporated. Its name stands (roughly) for Industrial Machines, Equipment And Specials. The first calibrating machine for particleboard enters into production. The design for the first wide-belt grinding machine for metals begins. 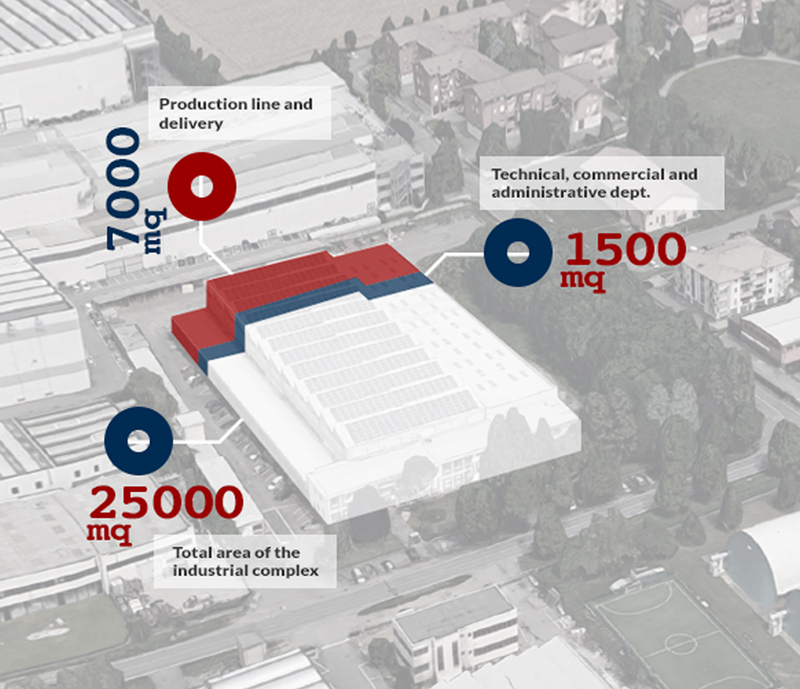 The Villa Cortese (Milan) industrial building is inaugurated. Avesta Press Plates from Sweden (today Outokumpu Press Plates) receives its first grinding machine for press-plates. Renewed in 2001, this machine is still in service. Imeas enters into the surface finishes business for metals, becoming its leader soon thereafter. First expansion of the industrial complex and offices building. New expansion to foreign markets; soon the turnover for sales In foreign countries will reach 80% (with peaks of 98%) of the overall turnover. Delivery of first grinding machine for steel belts, the basis to all modern continuous presses. Reorganization of the industrial area with the construction of a new building of 2000 m² exclusively for the mounting and testing of machines and plants. Expansion of the office block to reach the present 700 m². Creation of the Italian-Chinese joint venture IMEAS Sanding Manufacturing (Suzhou), Ltd. with seat in Suzhou, P.R. China. Mr Franco Zenere, CEO of IMEAS since 1986, becomes President of IMEAS spa. At Ligna 2017 Imeas presents the new “EvoL” family of sanding machines. Production of first 12feet wide (3600mm) sander ever.